GIM Jam Mastermind Vancouver is being hosted during Mineral Exploration Roundup adding to an already exciting week showcasing the theme, Innovation in Exploration. Join acQuire for a half-day seminar on Thursday, 28 January designed for technical professionals to network, exchange ideas and learn about geoscientific information management (GIM) technology and practises. Vivienne McLennan from Capstone Mining Corp provides insights into implementing formal data governance after failing an internal data quality audit, and how acQuire was integral to resolving the issues. As commodity prices continue their rollercoaster ride, many mining organisations are focusing on building value through process improvements and efficiency. Geoscientific information is a vital asset which underpins the value building process. It is the life blood of exploration, planning, engineering and production. It is vital for confident reporting and underpins aspects of compliance. It is a key driver of the value potential of the organisation. Learn about the practical guide acQuire has developed to help assess the maturity of an organisation’s geoscientific information management process which better supports the value building process for mining and energy organisations. The acQuire GIM Suite 2.1 – What’s New? Find out what’s new in the latest release of the acQuire GIM Suite. acQuire’s latest software release, GIM Suite 2.1, provides important updates to the GIM Suite 2 software to help manage geoscientific data efficiently and with ease of use. Dr Brigette A Martini shows the connectivity between Corescan’s Coreshed and the acQuire GIM Suite. Corescan automated hyperspectral core imaging data is used to produce both textural/image-based and point mineralogical data that are easily streamed into and integrated with additional geological datasets within the GIM Suite. With the recent release of GIM Suite 2.1, geologists and metallurgists can directly link their Corescan data from www.coreshed.com directly into their GIM Suite databases. Examples of this integration for two ore deposits (including epithermal Au and porphyry Cu) are shown. The highly detailed, accurate and consistent mineralogy redefines mineralogical assemblages, spatial alteration extents (both vertically and horizontally), paragenesis and ore process models. Subsequent linkages with 3D modelling packages are also demonstrated. Registrations are now open for GIM Jam Mastermind Vancouver. 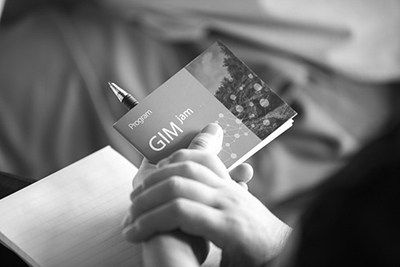 Find out more about GIM Jam Mastermind Vancouver.